Except it wasn’t from Father Patrick Longalong, the pastor at her Queens Village parish, nor her youth minister Angelica Taveras. Instead, the U.S. Conference of Catholic Bishops and the World Youth Day Advisory Committee invited the young woman to serve at the festival gathering specifically for U.S. pilgrims in Panama City, Jan. 23. 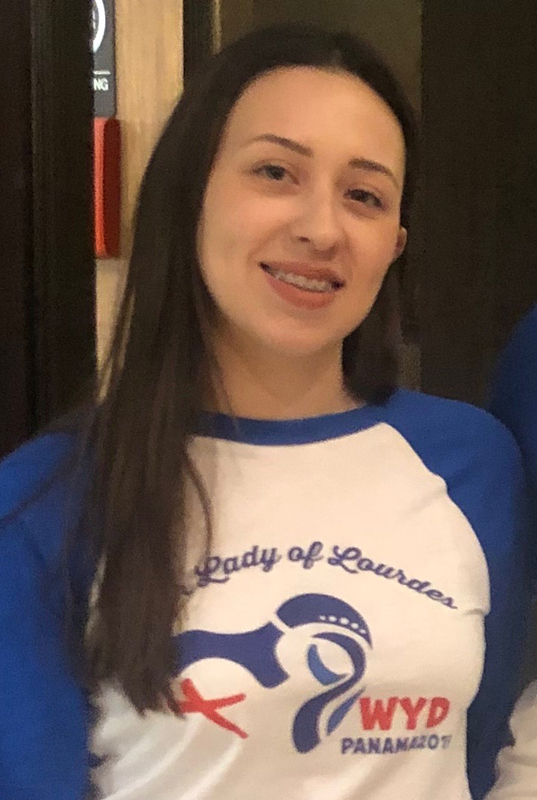 In the months leading up to World Youth Day, the three pilgrims traveling from Our Lady of Lourdes have been spiritually preparing themselves for the weeklong pilgrimage. Argoty, Taveras and fellow pilgrim Clairete Jean-Pierre, a Hunter College student and alumna from The Mary Louis Academy, Jamaica Estates, recently attended Catholic Underground event at Our Lady of Refuge Church in Manhattan. They participated in a solemn adoration together – a small reflection of what they would be reenacting again, this time in front of thousands of other people. The three pilgrims from Our Lady of Lourdes will join thousands of other Americans, including more than 180 Brooklyn pilgrims for a bilingual, international event hosted by the U.S. and co-sponsored by the Knights of Columbus, the Fellowship of Catholic University Students (FOCUS) and the U.S. bishops’ conference. Organizers are hoping to fill the Centro de Convenciones Amador arena in Panama City with 8,000 people. When the Hofstra University, L.I., student takes center stage Jan. 23, she will serve in the adoration procession scheduled at 8:45 p.m. local time when Cardinal Sean O’Malley of Boston, Mass., will lead the U.S. pilgrims in adoration. Argoty was born in Colombia and moved to Queens with her family when she was a young child. She said her family is excited and proud that her own personal fiat – her yes – has led her to this moment. Father Longalong said he hopes Argoty’s experience will leave a lasting impact on her life. The U.S. event is called FIAT and will include an afternoon and evening filled with music that reflects the pulse of the Latino people – salsa and the WYD theme song in Spanish, cultural exchange, fellowship, presentations and testimonies. Guest speakers include Brooklyn-born Bishop Frank Caggiano of Bridgeport, Conn.; Auxiliary Bishop Robert Barron of Los Angeles, Calif., founder of the Word on Fire Catholic Ministries; Auxiliary Bishop José Arturo Cepeda of Detroit, Mich.; Curtis Martin, founder and CEO of (FOCUS); and Sister Bethany Madonna, S.V.